Hello, my Arthur is 7, and recently i noticed he is puffed up all the time, not just when resting. This has never happened before and i don't know if it is normal or sign of someyhing else. He eats normally. I have another budgie and she hasn't puffed up. It's not normal for a budgie to be puffed up all the time like that, so it's best if you make an appointment with your avian vet for a full check up. In the meantime, do you have a separate cage that you can set up as a temporary hospital cage or quarantine cage? If it's something contagious, you don't want to risk your other bird getting sick too. I hope he feels better soon! Keep us posted on what the vet says. Last edited by FaeryBee; 03-18-2019 at 11:44 AM. Your bird does not look at all well. Please do not wait to seek medical attention, if your regular vet cannot refer you to someone see if you can locate a vet that sees exotics as quite often there will be someone on staff that has experience with birds. It's very important you get medical attention for your budgie soonest. By the time a budgie shows symptoms of being ill, it is often quite sick. I agree. 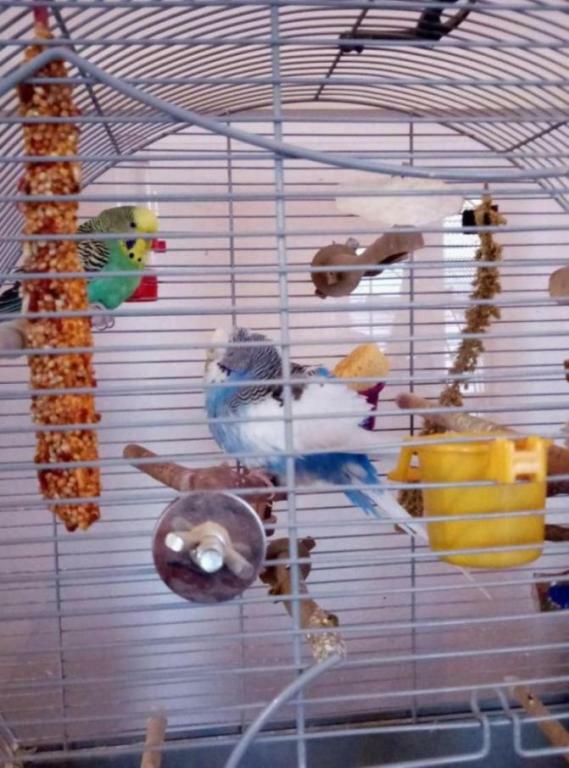 Your budgie definitely looks ill, and to the point he will perish if he doesn’t get the proper treatment ASAP. Look for an exotics vet, or a small animal (dog) vet willing to get in touch with an avian vet. Wishing you all the best with Arthur. Last edited by FaeryBee; 03-19-2019 at 08:17 PM. Glad you got some medicine for him. If you do not see an improvement soon please make sure to contact the vet again. Budgies don't drink much so by medicating through the water they sometimes do not get an adequate amount of the medicine to be effective and it may need to be changed to giving something directly into the mouth.